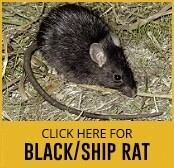 Rats are notorious disease ridden and destructive pests that also contaminate food and surfaces. As they are naturally nocturnal, it can be difficult to realise a rat problem exists. You’re much more likely to spot the evidence of a rat, rather than actually see one running around. 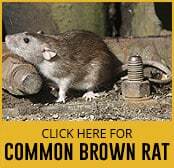 The most common species within the United Kingdom are the brown and black rats. There are certain signs that unfortunately could indicate a rat infestation. If you suspect a rat in and around your property it’s best to seek out efficient pest control to eliminate an infestation in its tracks. There are several telltale signs such as hearing scratching noises, and more physical evidence in the form of rat droppings as well as tracks, rubs and marks left by the creature. The excrement of rats is possibly the most noticeable sign that a problem exists. Rat droppings are tapered in appearance and approximately 1cm in length. Each and every rat can produce around forty droppings or more per night when active and are contained within localised areas. It’s the droppings and urine that carries a lot of diseases and can contaminate food and surfaces. Another common sign of rats within a home is hearing scratching noises, especially at night. Depending on where you hear the scratching, it can also potentially indicate the species. Black rats are great climbers due to being extremely agile. They are more likely to be found making noises in attics and within upper floors of a building. As brown rats are less agile than their cousins, the black rats, they are more likely to be found on lower levels scurrying under floors and sheds. Chattering and grinding noises are common sounds made by the rat’s teeth, which is also called bruxing. Tracks can also be a visible sign of rodent activity, especially in less used areas that’s a little dusty. As a rat makes its way through it can leave little footprints and other marks caused by their tails. Rats have extremely terrible eyesight. Therefore, they often make use of the same established routes, usually along walls and skirting boards. It’s in these locations where dirt and marks can be transferred onto objects from the grease and dirt contained on a rat’s body. While this can indicate a rat presence, it has to be remembered that these sorts of stains can remain over long periods and could also indicate a previous infestation. Only calling out an expert can determine if rats currently occupy and area. If you think you could be suffering from a rat problem, there might be a burrow located close to your premises. Usually burrows are found in close proximity to sheds, garages and decking as well as secluded areas within a garden. Rats are an extremely dirty and worrying pest to have within your premises. Taking quick action in tackling the problem is the best solution, and can free your home from the potential problems having a rat infestation can bring. 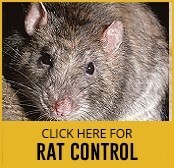 Contact our rat eradication team today and rest easy knowing our professional pest control will deal with your problem efficiently.